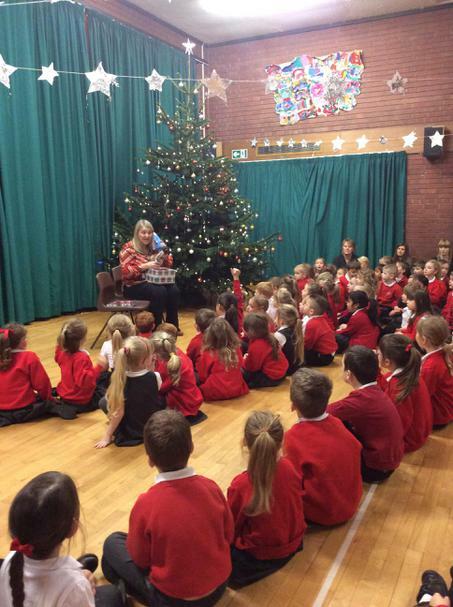 Year 5 are working with some Year 9 children from Rossett High School to develop their reading skills. 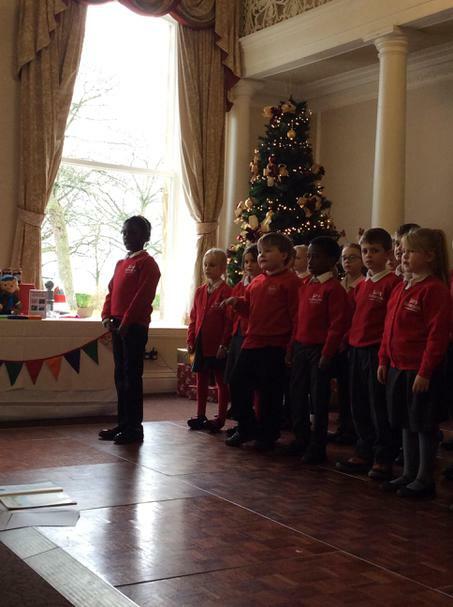 The children from the high school have come in as role-models and after the sessions have finished, the children from Year 5 will take on the role as role-model and work with the children in Reception. 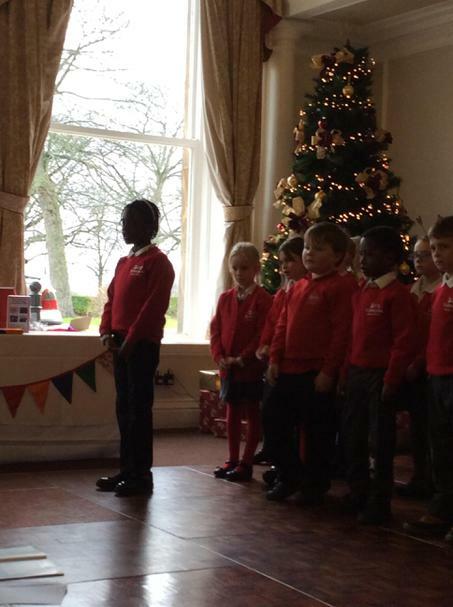 The Choir children from Key Stage One visited The Evangelical Church to sing to the members of The Rainbow Club. 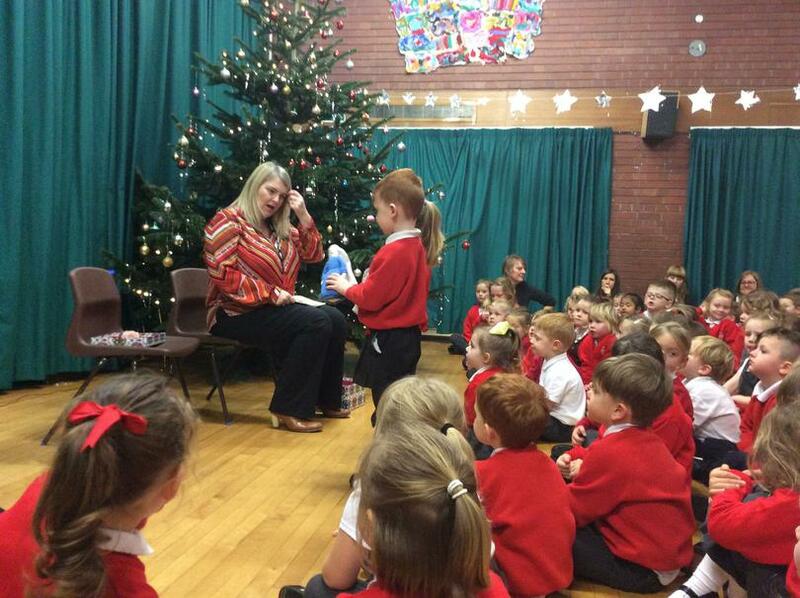 The children sang a selection of songs from our Christmas Nativity 'Christmas with the Aliens' and had a wonderful time spreading some Saltergate Christmas Sparkle. 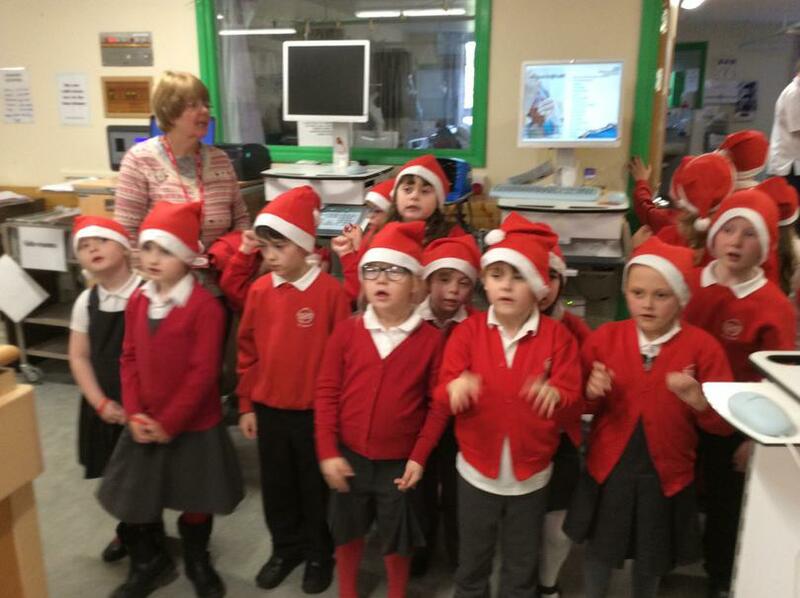 The members of The Rainbow Club enjoyed the children's wonderful singing. 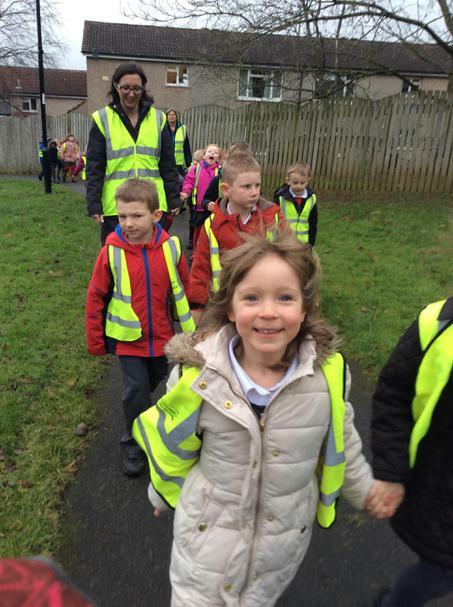 The Choir enjoying the walk to The Evangelical Church. 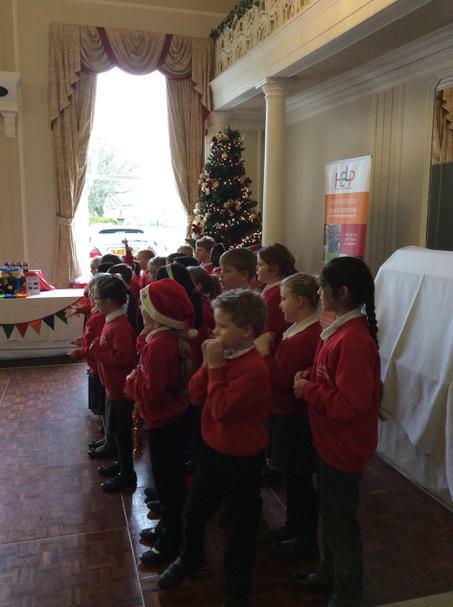 The children singing to the members of The Rainbow Club. 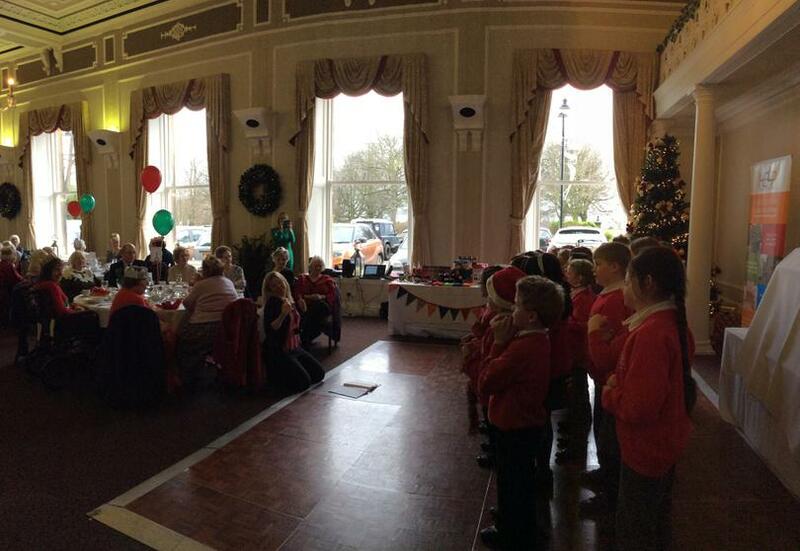 Reverend Jonathan Bond talking to the children after singing to members of The Rainbow Club. 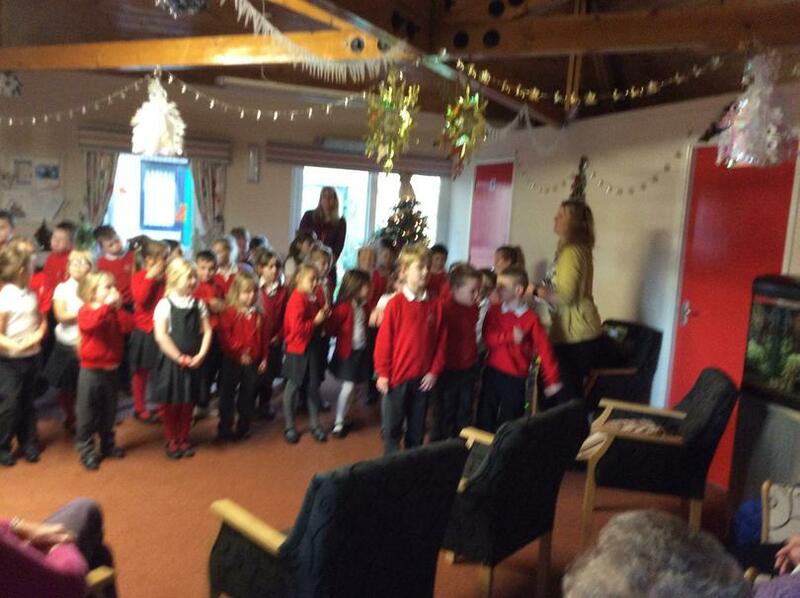 All the children in year 2 took a walk up to Fulton Lodge to sing to their residents. 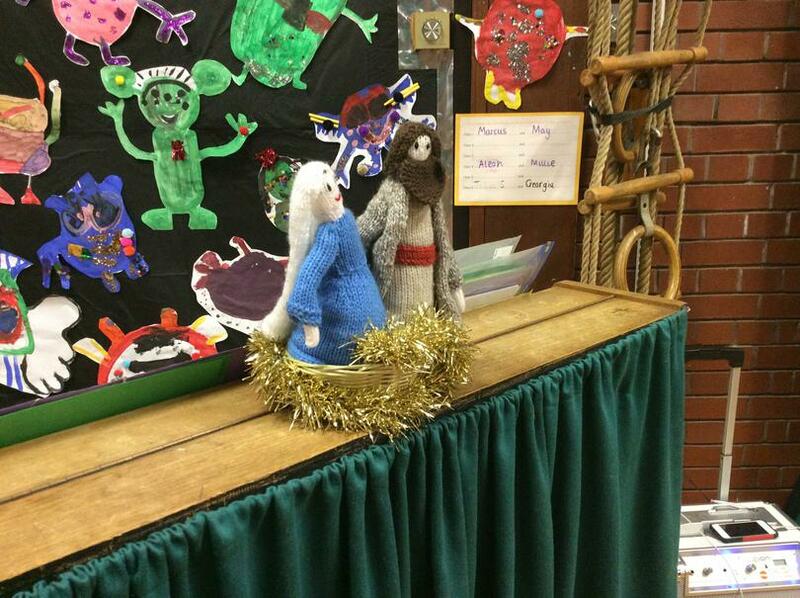 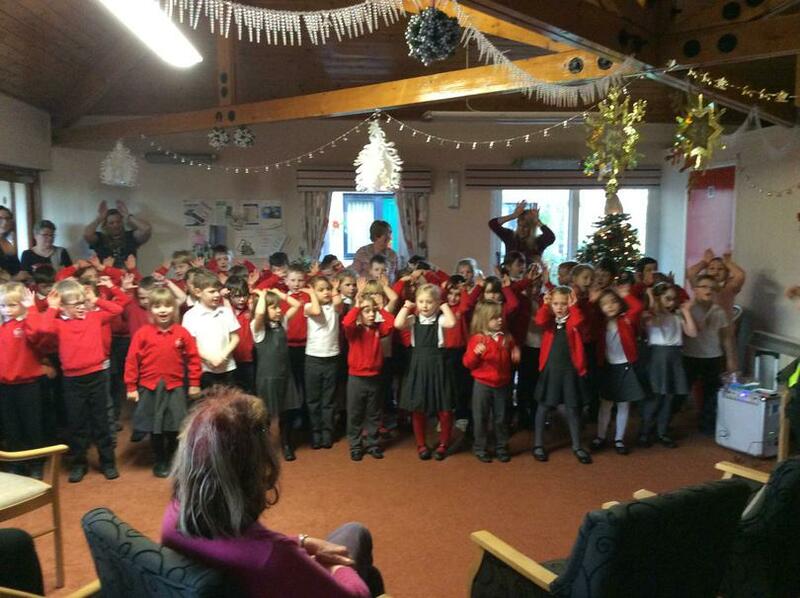 The children sung songs from our Christmas Nativity 'Christmas with the Aliens' and they did a wonderful job as all the residents of Fulton Lodge had a lovely time and enjoyed hearing all the joyful songs. 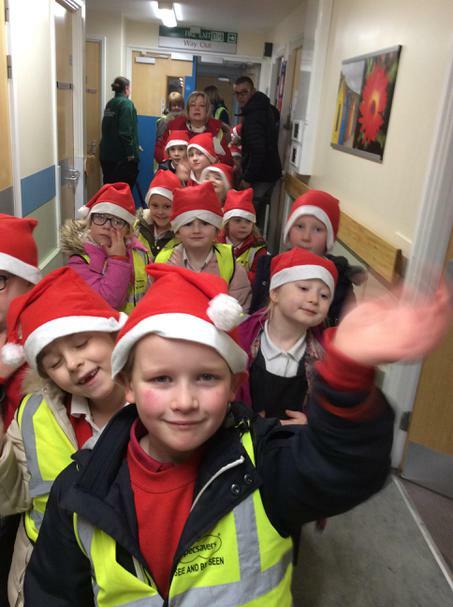 We are all so proud of the children for representing Saltergate Infant School so well as well as passing on some Christmas cheer to the members of our local community. 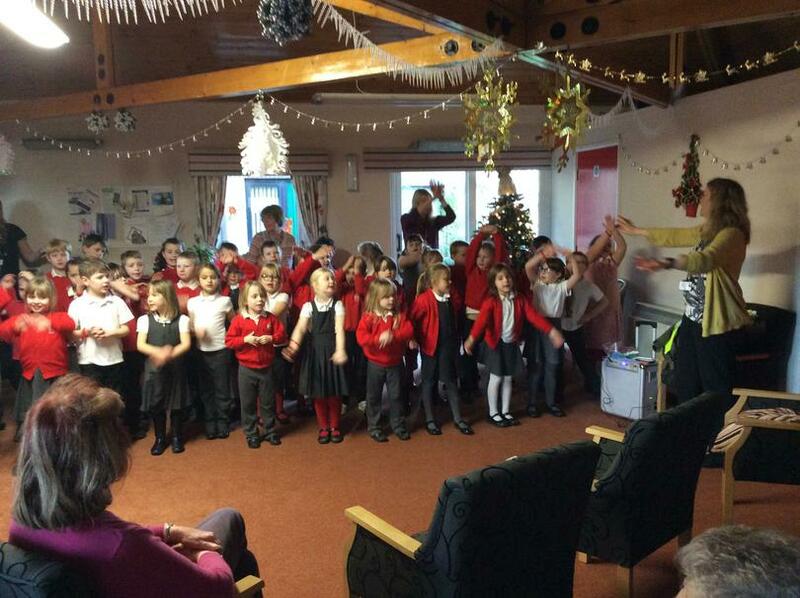 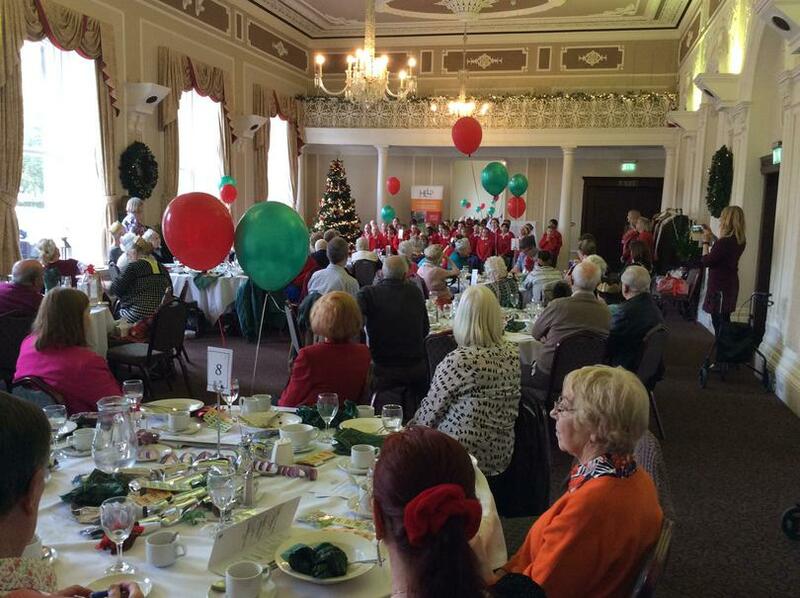 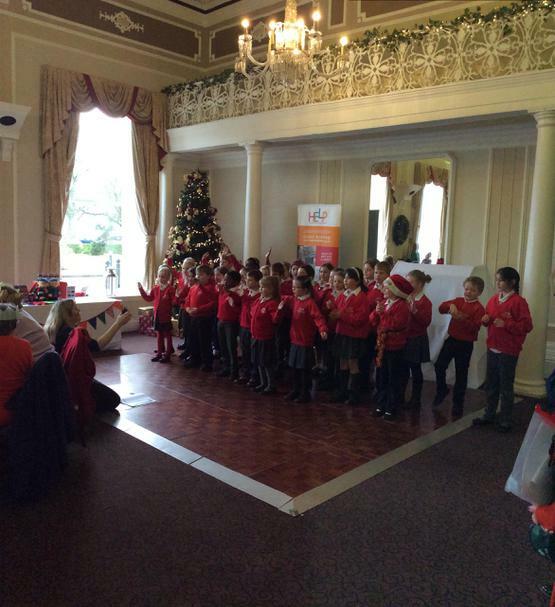 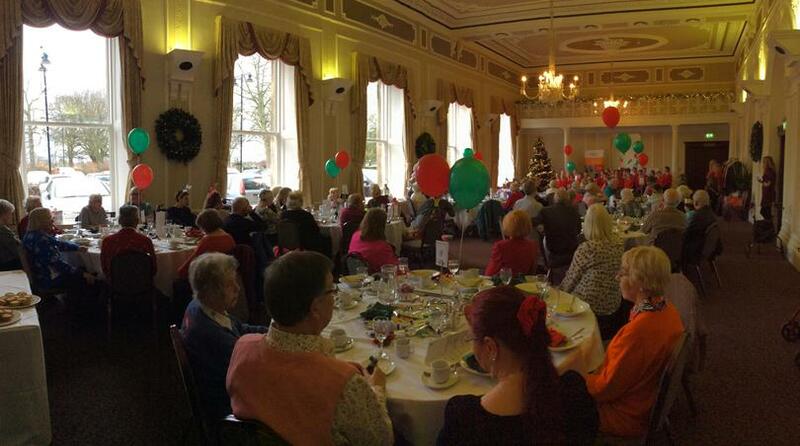 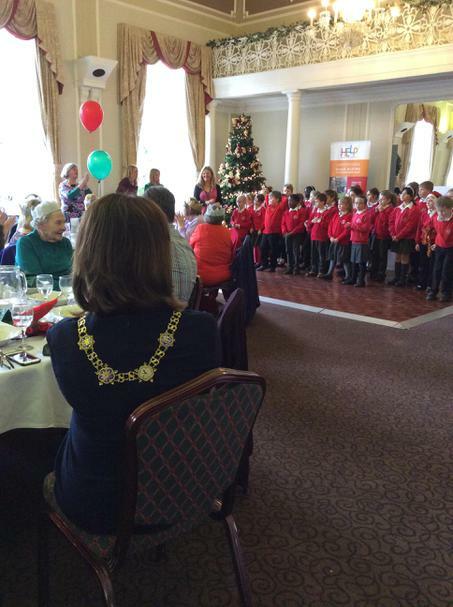 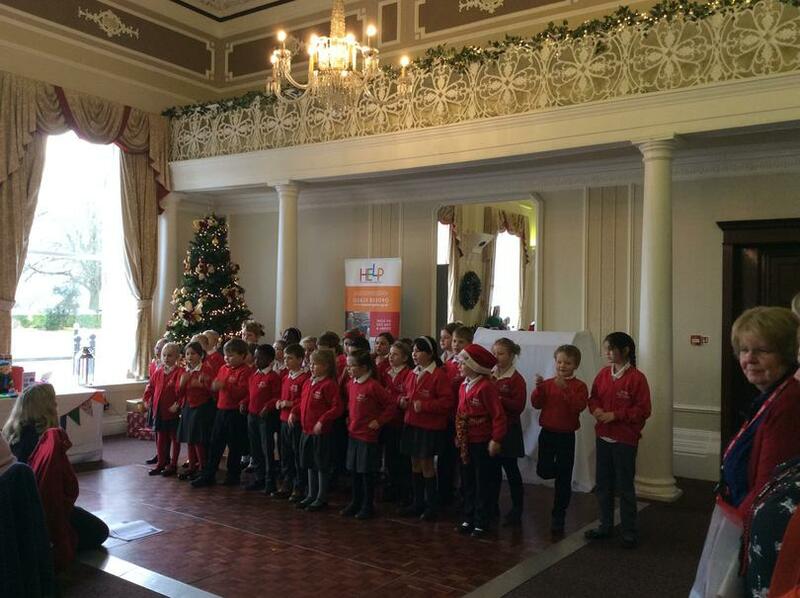 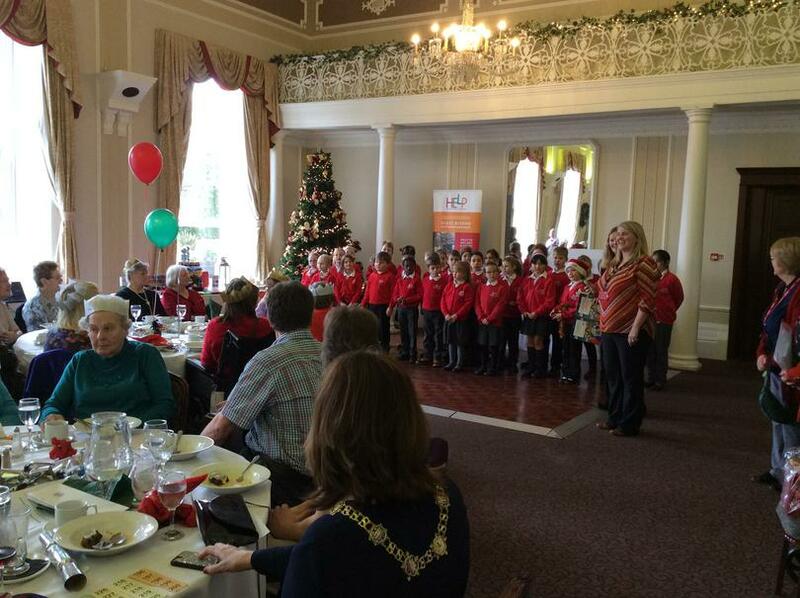 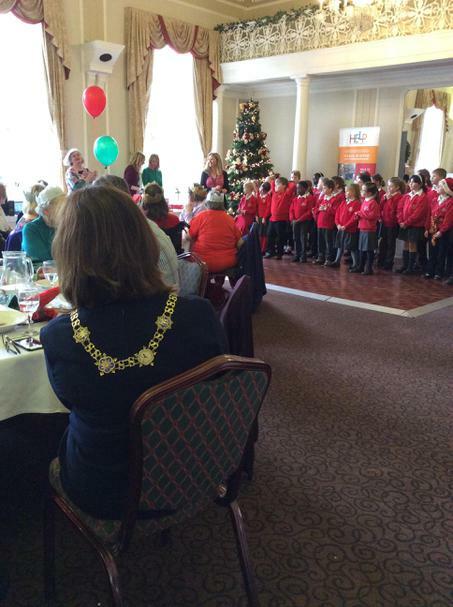 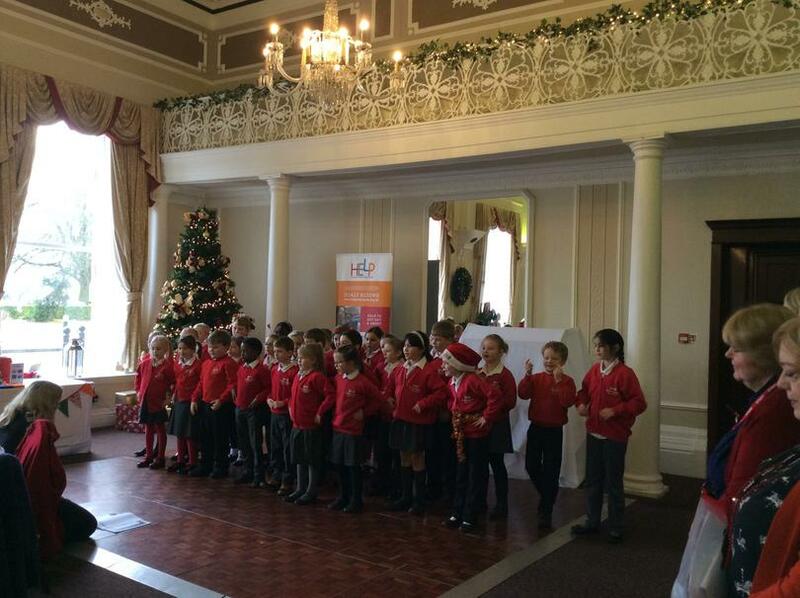 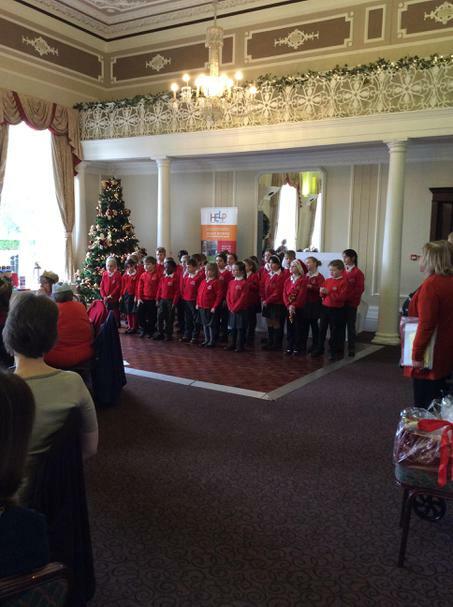 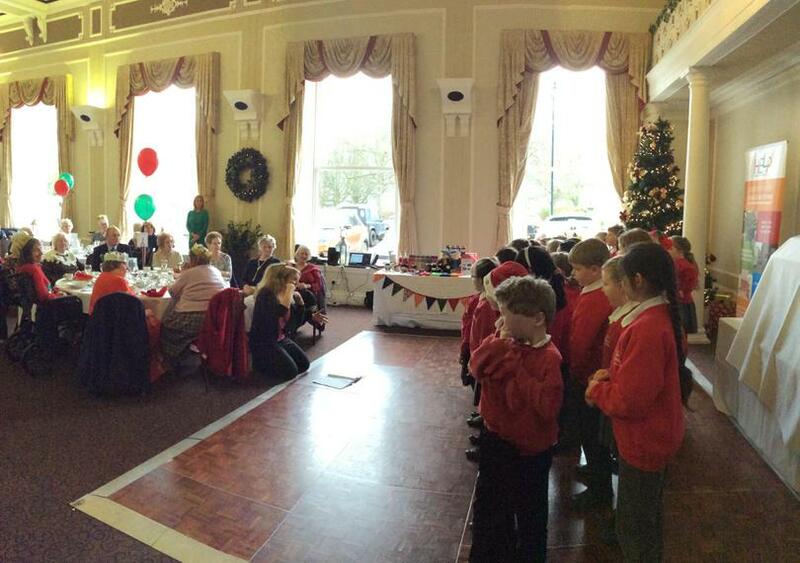 The Year 2 children singing to the residents of Fulton Lodge. 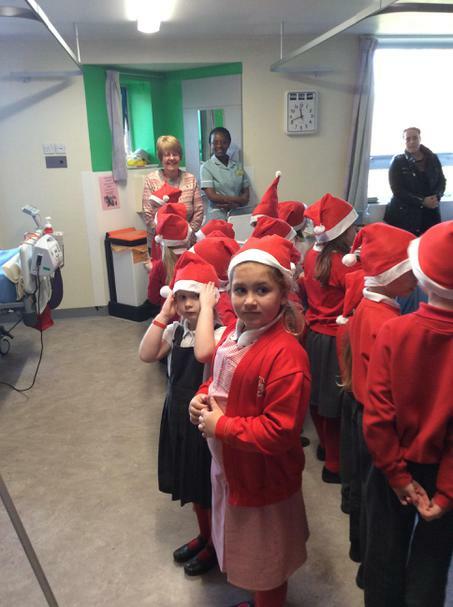 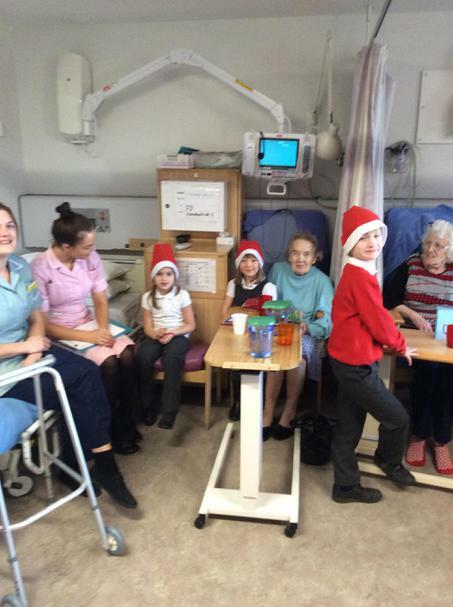 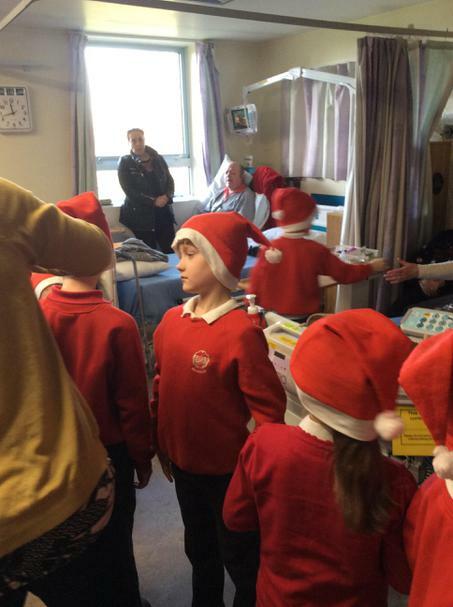 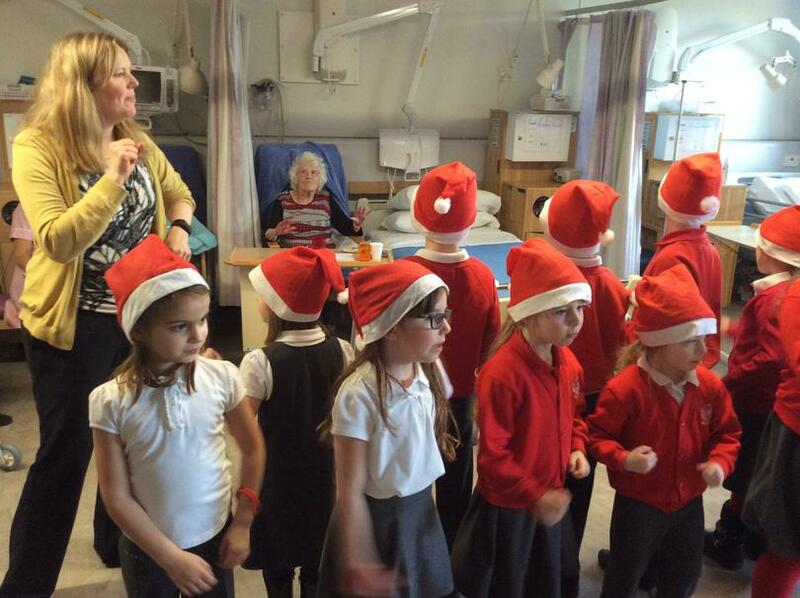 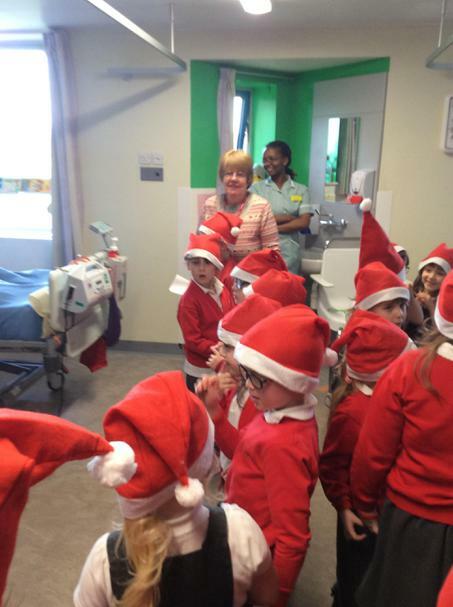 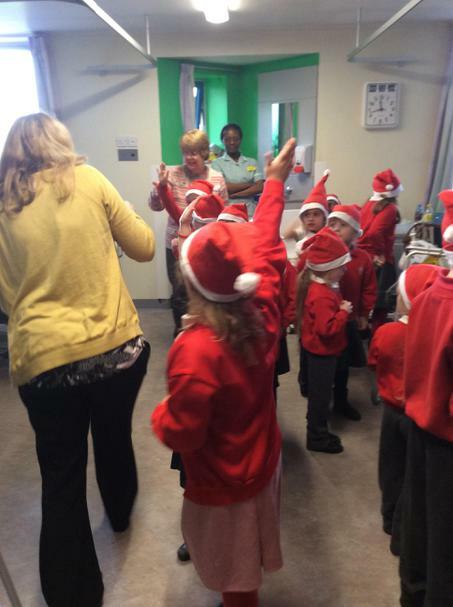 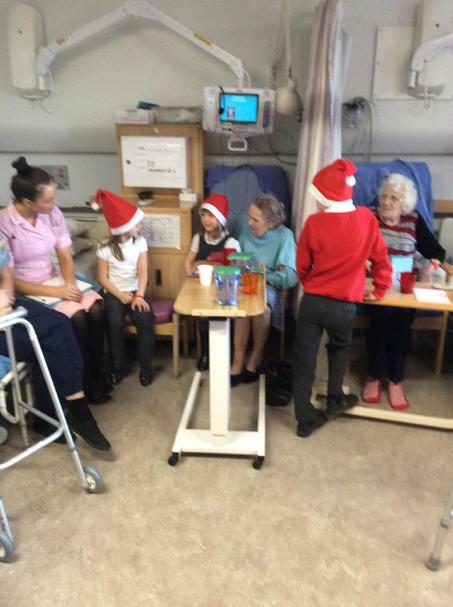 Our lovely year 2 Choir took a visit to the Hospital to spread some Christmas cheer in the last week of term. 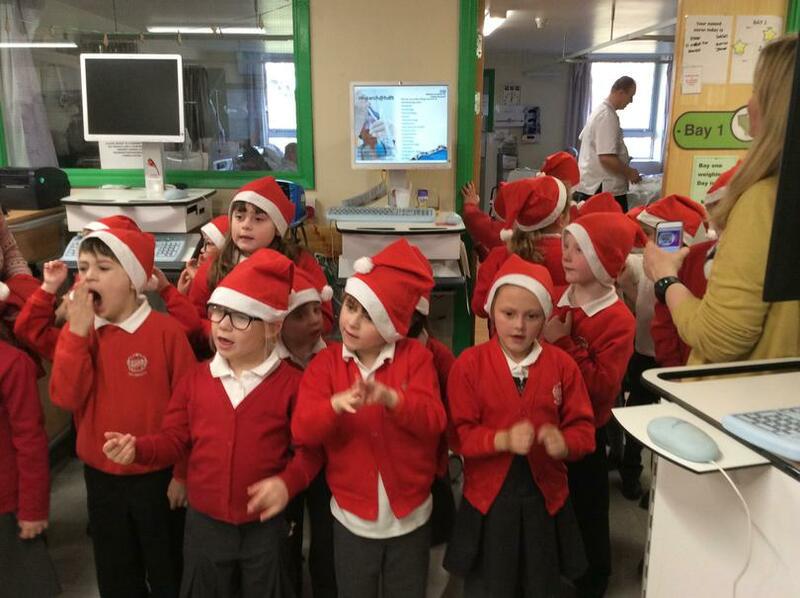 The children did a wonderful job of singing some of our lovely nativity and Christmas songs to the people on the hospital wards. 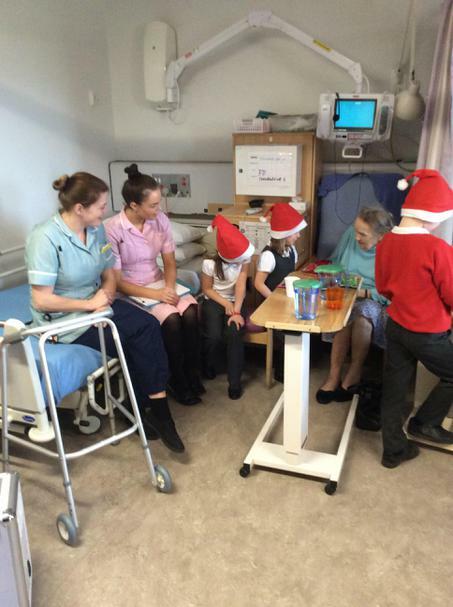 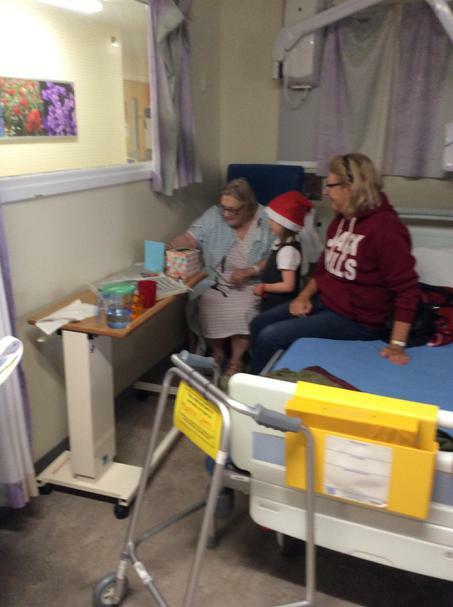 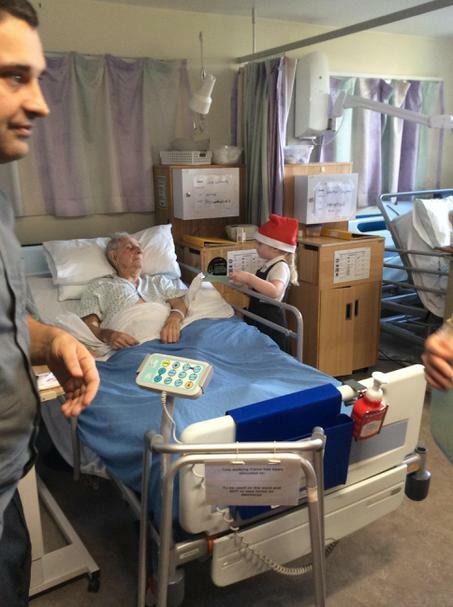 The children also gave out Christmas cards to everyone on the wards that had been made in school. 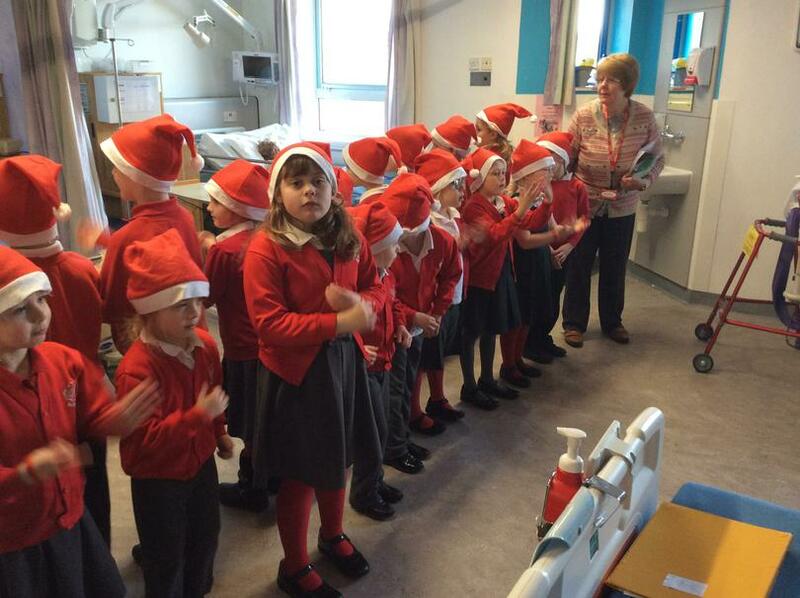 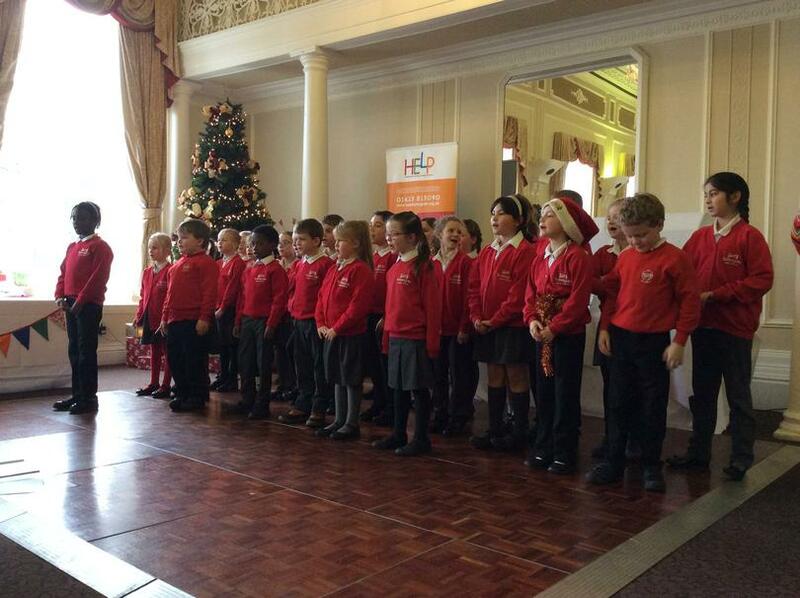 Take a look at our year 2 choir singing to the people in the hospital. 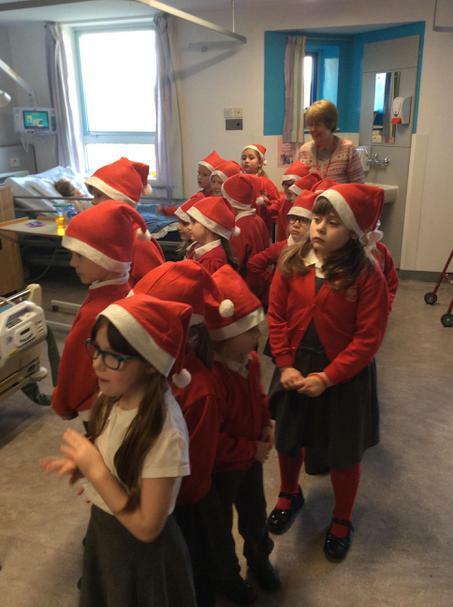 Take a look at our beautiful singing when we got to visit lots of people at the hospital, Fulton Lodge and The Evangelical Church to spread some Christmas cheer.